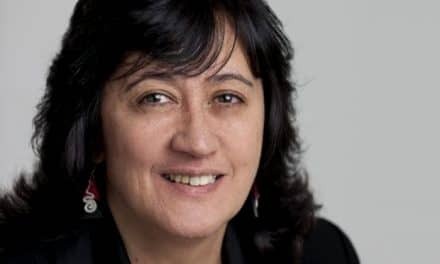 You probably haven’t heard of Karin Williams — she’s a producer, journalist and filmmaker with Cook Islands Māori and Pākehā whakapapa, who’s spent much of her career overseas. That included a stint as a reporter for the Cook Islands News, and a decade in Los Angeles producing award-winning television, documentaries and short feature films, many of which screened at film festivals around the world. Karin’s now back home and working for the NZ Film Commission. 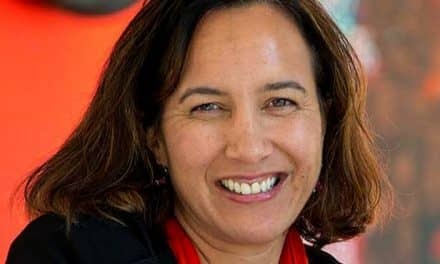 Here she talks to Dale about the kind of Māori and Pacific filmmaking she’d like to see on our screens. Kia orana, Karin, and thanks for joining us today. Since I often start off asking people about their names, tell us about yours. Well, Karin is … yeah, I don’t know where they got that name from! [laughs] I believe it’s of Scandinavian origin, although we have no Scandinavian roots. I have a Pākehā mother and a Cook Island father, and in that era — the late ’50s, early ’60s — parents were not naming their children with Cook Island names, Māori names, Pasifika names or Polynesian names, ’cause it just wasn’t the done thing back then, which is a regret. It’s great to see the next generation are getting ancestral names, but Karin came out of a book, I think. My dad is from the Williams family of the village of Ureia, in Aitutaki, and Williams, of course, is a real missionary name. Dad is Dr Joseph Williams, who is a physician and has been a prime minister of the Cook Islands, so I proudly carry that name. Mum is Marguerite Prime. Her side is the Primes and Prudhoes from Christchurch and Taranaki. They were British settlers in the 1850s, so I think of myself as a bicultural Kiwi with great aroha for my ancestors on both sides. Much of your work has a political angle to it, so can we speak about your dad, his village and what memories you have of it? My dad is my hero. 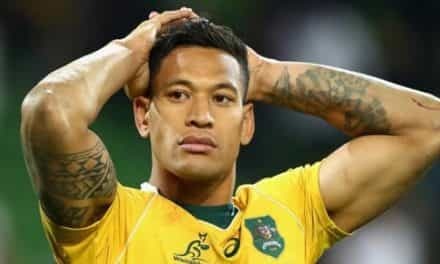 He was born on the island of Aitutaki, or Araura Enua, as we call it. He was a real island boy. He had two pairs of shorts, one for Sunday and one for the rest of the week, and no shoes. 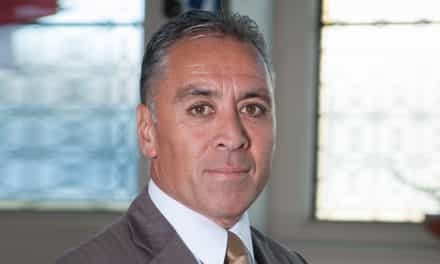 He grew up in the days when there were no traffic lights — and he’d never seen a two-storey building until he came to Aotearoa. When he was 12 he was picked to be one of the scholarship boys from the island to come to Aotearoa and he ended up doing very well at Northland College — he became dux and captain of the First XV. And then he went on to medical school at Otago University, where he became the second Cook Islander to graduate as a doctor. He went back to work as a doctor on Raro, one of the first island doctors, and he dedicated his life and career to his people and to Māori and Pacific Islanders. People come to his clinic from all across the country and all over the Pacific. We first went back to the islands in 1963, when I was four years old, I remember landing at the airport in Aitutaki and going into the arms of my grandfather, my dad’s father, and I think that’s when my island heart woke up. That’s when I found my island roots. That’s when I fell in love with my people and my islands. My mum and I came back to New Zealand shortly after that, so I didn’t grow up there, but I spent a lot of holidays with dad and the family there, and I feel very, very lucky to have that connection. Does Joe live there now? He lived in the islands until the ’80s, then came back to New Zealand, and he now runs the Mt Wellington Medical Center, where he has pioneered an eczema treatment. 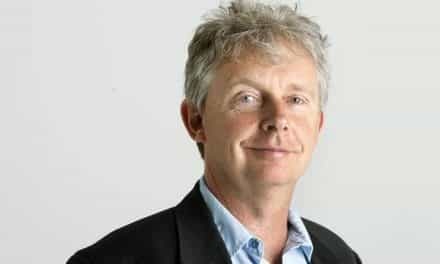 He’s known as the eczema doctor, and people from all over the country go to him to get their eczema cured. Where did you go to school, Karin? All of my schooling was in Wellington. I started out at Queen Margaret College, and in those days to be a young, brown bicultural girl in a private school was quite difficult. There weren’t many others like me, so over my school career I managed to work myself down from the top decile to the lowest decile. I ended up at Naenae College, in Lower Hutt, which I loved, and we formed the first Polynesian club at Naenae College back in about 1974. We did weddings, parties, performed at the school assemblies — it was part of the cultural revival that was happening among Pacific people in the 1970s. What about language? Were you encouraged to learn te reo or Cook Island reo? We weren’t really brought up learning the language. People talk about the “mother tongue,” and there’s a reason for that, because mothers are the ones that teach their children. When I look at my other Cook Island cohorts and my younger brother and sister, it pretty much splits right down the middle: the kids who had Cook Island mothers grew up speaking Cook Island Māori, the kids with Pākehā mothers did not. Unfortunately, we grew up in an era where it wasn’t cool and it wasn’t acceptable to speak your Polynesian language. It’s one of the regrets of my life that I never did learn the language. I’ve tried over the years, but it’s difficult. The really sad part of it is that the Cook Islands Māori language as well other Polynesian languages are endangered now because of the massive impact of colonisation that said that our languages and our cultures weren’t as good as English. Tell us a bit about your mother and her clan. My great-great-grandfather on my mother’s side was a mayor of Christchurch. He came out from Sunderland in 1858 on the Regina. He was an apprentice stonemason, and did really well for himself. His name was William Prudhoe, so we descend on that side from five generations in Canterbury. 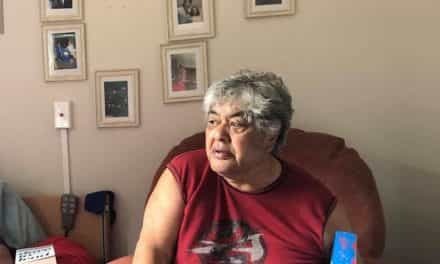 I’ve been back to Sunderland to see where they left from, and, just as my father came from Aitutaki as a young man without speaking the language or knowing anything about New Zealand, so did my ancestors on my mum’s side. They left their homes, never to go back again, and came across to the other side of the world on a six-month voyage. 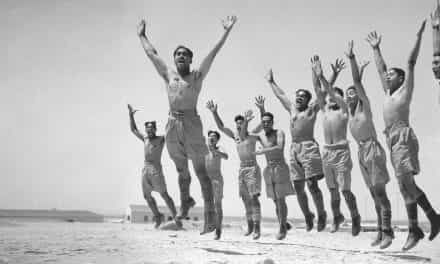 So I look at both sides and think what amazing people they were to have started these new lives and to have forged these wonderful families in this new land of Aotearoa. So I guess this says anything is possible, and that’s why we should cut some slack to people who are trying to create better opportunities for their tamariki. We share a history, don’t we? I think multiculturalism is one of the great strengths of our country. Sure, there is racism and institutional racism — absolutely no doubt about that. In the world of film and in the world of art we struggle to have our voices heard. But there are plenty of worse places one could be in the world right now, and we do live in a place where we are forging our identity as Pasifika people. You know, I was gone for almost 30 years. I was in the United States in the early ‘80s, and I came home five years ago, and every single day I give thanks to be home. “Filmmaker” is the word generally used to describe you, Karin. Is that how you describe yourself and the work that you do? I think of myself as a producer primarily, though I’m also a writer and a director, and currently I’m working at the New Zealand Film Commission on developing feature films. But I started out as a reporter at the Cook Islands News, and back in those days we had no technology, we barely had typewriters, but we cranked out little stories, and it was an incredible opportunity to go find out more about my land, my ancestors, my people, and to learn the beginnings of my trade. I got to cover politics and economics and agriculture and sports. One of my favourite memories is rocking up to Pā Ariki, the wife of the prime minister, Tom Davis, for a story for the women’s page, and asking if she could tell me about being the wife of the prime minister. That was an amazing education. Really, what she did for me was unpack the colonial impact —that we actually had political systems in the Cook Islands that went back thousands of years. And I think that was the beginning of me really starting to understand that in this bicultural view that we’re looking at, there are multiple ways to look at things — and that the Pākehā overlay may not be the most important one. Thanks very much, Karin. Well, look, you have a massive catalogue of material you’ve produced over the years, and we can’t speak of them all, so can I ask, of all the pieces you have worked on, what are you most proud of? Gosh, that’s a hard one! My career has been about balancing work in the mainstream, as a freelancer working on television shows, with work in the indigenous world. I’ve been lucky enough in the past 20 years to have worked with Native Americans, native Alaskans, Pacific Islanders and Māori, and I think that is my heart and soul and passion, really. Same thing here at the Film Commission, where I work on mainstream projects with Pākehā filmmakers, but also try to support work coming through from Māori, Pacific and other filmmakers. I suppose if I had to pick one I’m most proud of, perhaps the piece that really changed my career was my first independent film, a documentary I made in 1996 about the Hawaiian voyaging canoes Hokulea and Hawaiiloa coming to the mainland United States. Hokulea has just completed a round-the-world voyage, but 20 years ago it was just beginning to do its long trips. I was living in Seattle, and I followed the Hawaiiloa up to Alaska, tracing the journey back to the canoe’s origins, because it was built with logs from Alaska. That project really put me on the path of working in the global indigenous film world, where the indigenous people are writing, creating and distributing their own films. As you know, we’ve had a couple of hundred years of others telling our stories, and they still do, like Moana from Disney — beautiful film, but essentially made by Pākehā and the profits will go back to Pākehā. But there is an alternative where the indigenous people tell their own stories and share their own images, and that film, which is called The Voyage Home, is the one that put me on that path of working in the indigenous world. You know, when I see the America’s Cup yachts I can’t help but think we are watching double-hulled waka racing! All those years ago you made a film about voyaging canoes, and the technology our first nations people took for granted at that time, and when I look at these sleek fast boats in Bermuda they seem like just a modern-day reflection of an age-old ability. What do you think? Totally. And I think those sailors themselves acknowledge the heritage in the Polynesian voyaging waka. We are so lucky to live in an era where waka technology has been revived, because for a couple of hundred years those canoes disappeared. They rotted, they died, they no longer sailed. In our lifetime we have seen Hawaiiloa and Hokulea in Hawaii, Hawaiki-nui and Hek Busby’s canoe Te Aurere in Aotearoa, and then suddenly all around the Pacific there has been an explosion of these voyaging waka. Now you can rock up to harbours in New Zealand, Rarotonga and California and see double-hulled voyaging canoes sitting there ready to go on a voyage. As you say, Dale, you’ve got an absolute pinnacle of technology racing away at 40 knots in Bermuda, but it just fills me with joy to see the incredible technology of our ancestors — this maritime technology that allowed us to settle the Pacific and sail around the planet. We live in great times as far as sailing goes. In your work you bring first nations perspectives forward. How would you describe that process? When indigenous people get together it’s a celebration of recognition, of what we have been through — the fact that we are the first people, the tangata whenua, wherever that may be. We have all experienced the same cataclysm of colonisation and imperialism, and we are all reclaiming our stories and our culture. It’s incredibly powerful. I witness it all the time. For example, a couple of weeks ago on Queen’s Birthday, I was up at the Wairoa Māori Film Festival and people had come from Canada, Hawai‘i, Tahiti and South America, and just the sort of inspiration and the buzz that goes around when native people get together and share their stories and share their art is empowering. We always acknowledge our kaumātua, if you will, in the film world: Merata Mita and Barry Barclay and Don Selwyn. Those guys were all about getting together with other native filmmakers. Merata was on the board of the Sundance Institute, and she worked in Hawai‘i for a period of time. Working with other indigenous filmmakers helps us get out of our own cultural straitjackets and get into sync globally. When I look at your work, it is pointing in the direction of celebrating first nations cultures, whereas in the media, day in and day out, it’s all about the shortcomings, the high prison stats, poor education, poor health. I mean, if our opinions are shaped by what we read, see and hear, mainstream media has done us a real disservice over centuries now. How true, Dale. It’s the continual reinforcement of negative stereotypes. I do worry that we ourselves tend to do that, too. I see scripts all the time from Polynesian people that are full of gangsters and criminals and drug addicts, and I just hope that we can see beyond that and start portraying ourselves as the strong, powerful, proud, intelligent, smart, innovative people that we are. Stop looking at the deficits and start looking at the positives. I still see a lot of scripts where Pacific women are portrayed as victims of sexual abuse and domestic abuse and they all live in ghettos and are poor. I think we’re missing the voice of young brown urban women. We still tend to see a lot of projects where people are stuck in the islands, out in the country, on the marae, and I’d really like to see us finding some interesting stories that celebrate our achievements. We have doctors and lawyers and professors and waka sailors — there are plenty of stories that could be told that don’t reinforce that nonsense. I’m curious to know what influence your career has had on your whānau and those following in your footsteps. As storytellers, I think we have a huge responsibility to tell the kind of story that we want our kids to see. I did a little film in Rarotonga four years ago about a Rarotongan song called Mou Piri, which means to hold tight. It’s a love song and has become a popular wedding song in Raro. Both Cook Island and Pākehā have this song at their weddings. It’s a beautiful song, and my sister’s girlfriends had performed this song to her at her wedding, and I wanted to make a film looking at what the song was about. I also wanted to portray Cook Island dancers as dignified and elegant, because that’s what I observed at my sister’s wedding. So I chose in that film to have dancers who were fully clothed and not wearing tiny grass skirts and coconut bras, and I did that on purpose to subvert that typical image that we see all the time in tourism brochures and on film: slutty Polynesian dancers who are sexualised to serve tourists and men. I wanted to show my niece and her generation that these women are actually dignified and powerful. In my work as a director and at the Film Commission, I want to support that kind of filmmaking, that tries to reclaim images and stories in a way that honours and dignifies our cultures, because I think people have spent more than enough time degrading it — and we don’t need to be part of that anymore. I don’t want to be part of the perpetuation of that kind of negative imagery. I often moan that our leadership are from a generation that doesn’t appreciate the influence the media has on the way we develop our opinions. So we have fought hard for fishing, farming and forestry, but not too hard for media. We are in relative infancy — about 30 years for radio and about 15 years max for television. You would have to say we are still making baby steps with the media, but with that in mind, how important do you see the media, whether that be print, radio, television or film? That’s a great question, Dale. I believe we are on the verge of seeing a new wave of Māori and Pasifika in media. I mean, e-Tangata is part of this, offering a conversation in a public space about issues you wouldn’t see in mainstream media, and I think we’re going to start to see film, television and media in general really explode out of the Māori and Pacific space. Our Dons and Barrys and Meratas went to the barricades 30 years ago and fought the battles to get funding and to be heard and be the first to make films and television, and we now have people who’ve grown up with incredible storytelling ability and technical skills. Right now we’ve got three Pacific short films that are in production, that are all going to be pretty amazing in production values and storytelling. We’re seeing diverse films like Three Wise Cousins and One Thousand Ropes, and I think we’re at the beginning of an incredible era. We’re going to be hearing from queer voices and rainbow voices of our people who have not had an opportunity to express themselves. They’re rising up with incredible things to say. So I’m pretty excited about where we are right now, in the film and media industry, and I’m very grateful to be part of it. 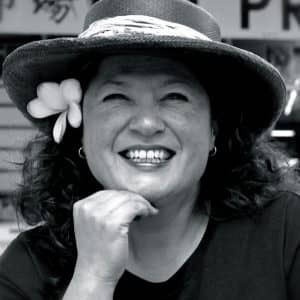 Karin Williams is an award-winning producer, journalist and filmmaker with extensive experience working in the Pacific Islands, New Zealand and United States. 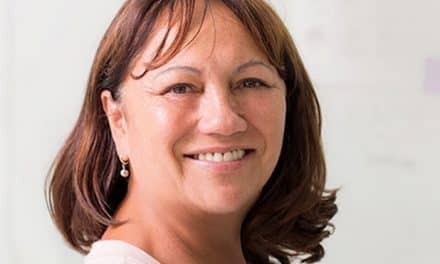 She was born in Aotearoa, the daughter of a Cook Islands Māori father from Aitutaki and a Pākehā mother descended from five generations of British settlers in Christchurch. Karin began her career as a reporter on the island of Rarotonga and went on to work for broadcast networks in New Zealand and the USA. Karin has produced a wide range of projects including prime-time specials and series for PBS, America’s national public broadcasting service, and short feature films in Los Angeles. National US credits include: Fixing Juvie Justice (2013), a documentary on alternative justice initiatives in Auckland and Baltimore for National Geographic; The Meaning of Food (2005), a PBS series exploring food and cultures in America; and Skin Stories (2003), featuring indigenous Pacific Islands tattoo traditions in Samoa, Hawai’i and Aotearoa. Freelance work includes projects for CNN, NBC, Reuters, Court TV and Discovery. With Multinesia Productions, her independent production company, Karin produced video projects for a wide range of clients, including Screen Actors Guild’s President’s National Task Force for American Indians, Asian Pacific American Legal Center of Los Angeles and Yukon River Inter-Tribal Watershed Council in Alaska. Her work has earned dozens of honors including five regional Emmys and a Peabody Award for television production. Karin’s films have screened at festivals around the world, including Hawai’i International Film Festival in Honolulu, National Geographic All Roads Film Festival in Washington DC, and the Native American Film & Video Festival at the National Museum of the American Indian in New York. For the past decade Karin has worked with native tribes and first nations in Alaska and Canada to document a grassroots tribal environmental justice movement in the Yukon River basin, which has become a global model for ecosystem protection. She wrote, directed and produced four films about this effort, which have screened at film festivals in Mexico, Italy, London, Canada and around the USA. Shoots have taken her to remote and extreme locations: filming at 40-below in native Athabascan villages inside the Arctic Circle, shooting traditional tattoo artists in Samoa, interviewing U.S. and Vietcong war veterans in the Vietnam highlands, working with homicide detectives in Los Angeles, and filming at Te Kooti Rangatahi, a marae-based youth court in Auckland. Karin recently moved home to Auckland after a decade living in Los Angeles. She is currently completing her first book, a narrative non-fiction history of first European contact at the island of Rarotonga. 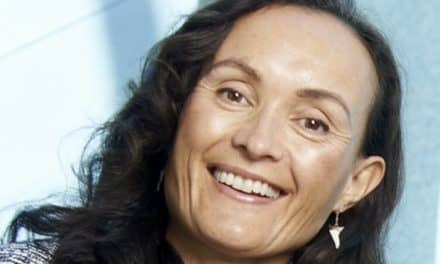 NextTuku Morgan: Who better than Māori to look after their tēina?